A fantastic installation Gardinia completed this week was an anthracite grey aluminium door, complete with a stainless steel full pole handle. 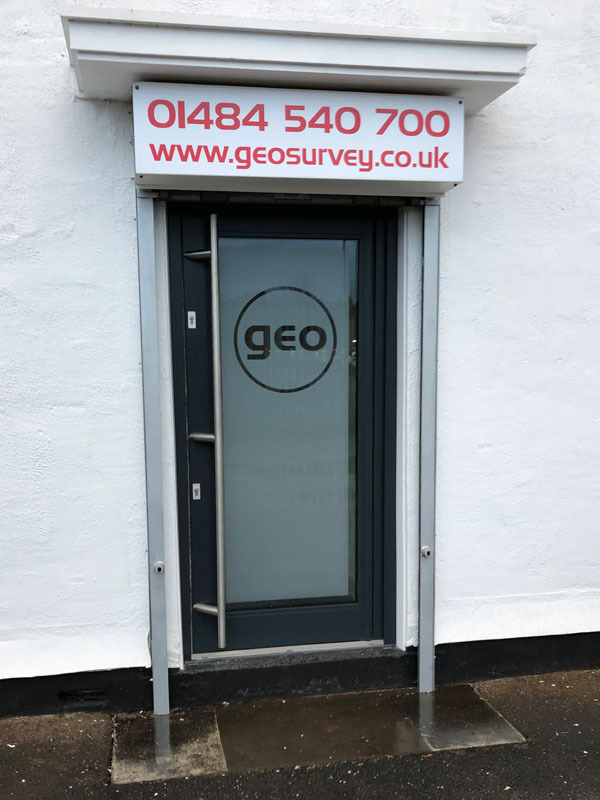 This anthracite grey aluminium door was installed at GEO Survey Instruments Ltd office in Huddersfield, West Yorkshire. 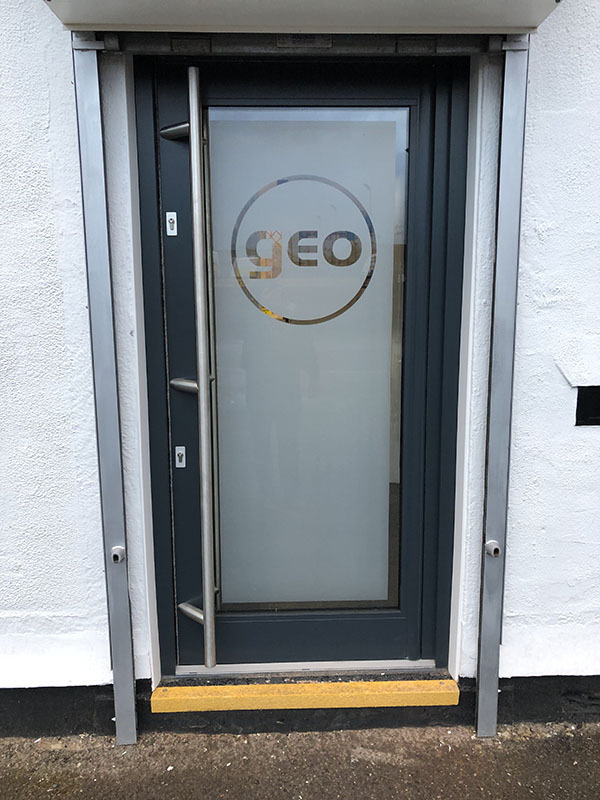 Gardinia installed two doors which incorporated the GEO logo, by sandblasting the logo in to the glass, resulting in a fantastic looking job! 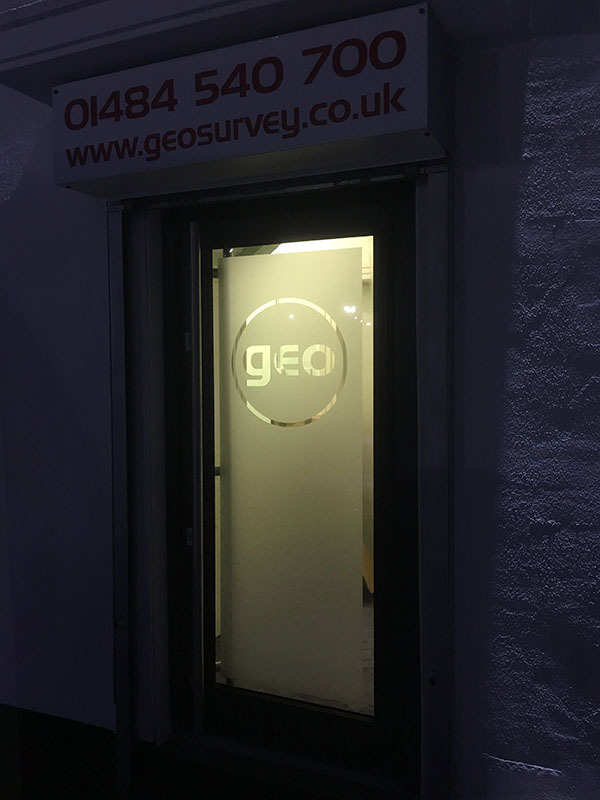 An end result GEO are extremely happy with. Why not explore our extensive range of doors? from Upvc, Composite and Aluminium to Bi-Fold and French Doors, Gardinia has you covered. Feel free to contact Gardinia today and arrange a free no obligation consultation. Matt is the IT Manager at Gardinia, he created the Gardinia website and social media profiles with the aim of inspiring customers on their latest home improvement projects. You will never find Matt too far away from a good Yorkshire brew, or any Gardinia projects involving a mouse and keyboard.